French singer-songwriter whose genres cover new-wave, pop and chanson. 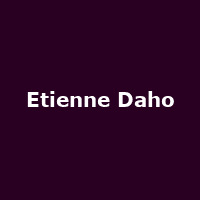 "A crucial figure of the early 80's Rennes post-punk wave, Etienne Daho is one of the most influential personalities to have emerged on the French scene in the last 30 years. A dozen gold and platinum albums and countless hit singles have turned this "enfant du rock" into the leader of French pop. As an accomplished musician, writer, composer and producer, he also likes to write for his peers (Jane Birkin, Jacques Dutronc, Marianne Faithfull). He loves artistic encounters of all kinds, and has collaborated with a wide variety of musicians (Charlotte Gainsbourg, Françoise Hardy, Alain Bashung, Jacques Dutronc, Vanessa Paradis, Jeanne Moreau and Air to name a few) and visual artists (Guy Pellaert, Michel Gondry, Nick Night, Pierre & Gilles, Hedi Slimane, David Simms and Inez Van Lambsweerde).Born in Oran, Algeria the 14th of January 1956, he was raised in Rennes, France. He started his career in 1980 on the stage of Les Transmusicales, the famous annual Rennes rock festival. He then became the first artist to sign with Virgin Records France, who issued his minimalist pop debut album "Mythomane" in 1981, which was produced by Stinky Toys guitarist Jacno and recorded with musicians from the band Marquis De Sade.In 1983 Etienne Daho scored his first hits with "Le Grand Sommeil" and "Weekend A Rome" (both from his second album "La Notte, La Notte), before setting new and higher goals with his third album "Pop Satori" in 1986. Recorded in London with members of the band Torch Song (among them William Orbit, Madonna producer and future "godfather of techno"), this album was an ambitious attempt to marry the French language with electronic music, way before the "French touch" succeeded. His next album "Pour Nos Vies Martiennes" (1988) ignited Dahomania, a huge and legitimate popularity, still intact today. In 1995, he came to London to work with the English pop duo Saint-Etienne, and their "He's On The Phone" (an English-language cover of Etienne's "Weekend A Rome") from Saint-Etienne's 1995 mini-album "Reserection", which reached to Number 2 on the British charts. Daho's new album, Les chansons de l'innocence retrouvee (2013), was recorded in London over a year and features collaborations with Nile Rogers, Debbie Harry, as well artists from the new generation of musicians including John & Jehn, Francois & The Atlas Mountains, Au Revoir Simon and Verity Susman."